‘Good food shouldn’t be exclusive’. 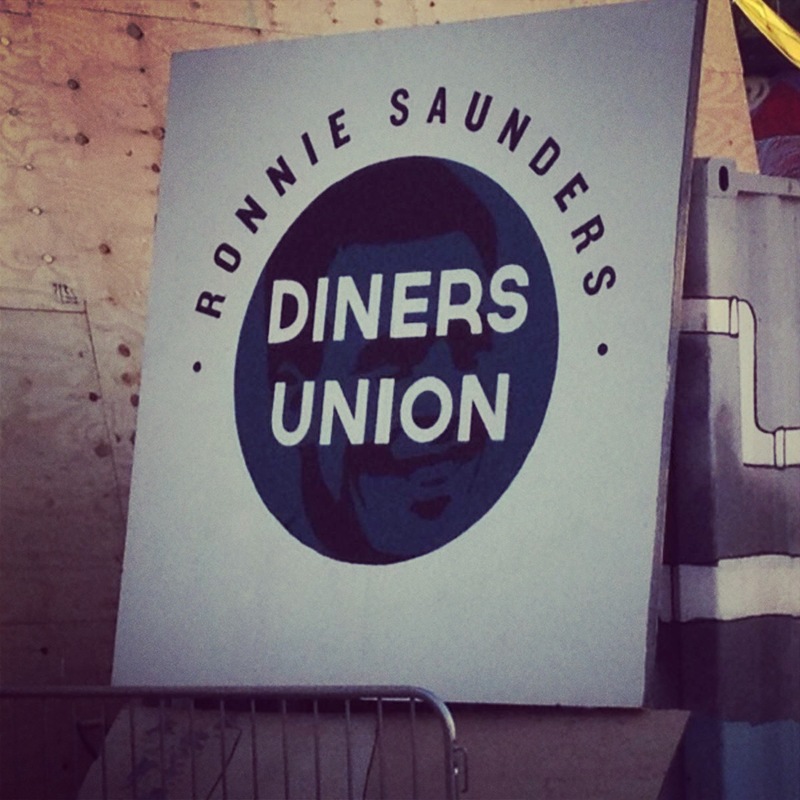 This is the tag line of new East London foodie venture, the Ronnie Saunders Diners Union, the people behind which believe that good food can bring people together. Everyone pays the same (a purse-friendly £15 per head), everyone eats the same. Last night was the opening night. Based in a car park in Rivington St, there were trestle tables, live music and a bring your own booze policy. Perfect. The £15 I mentioned earlier buys you 5 courses. It’s a canteen style affair, so you take your tray up to the counter, and in return, get some delicious food cooked by Michelin-trained chefs. Bargain. 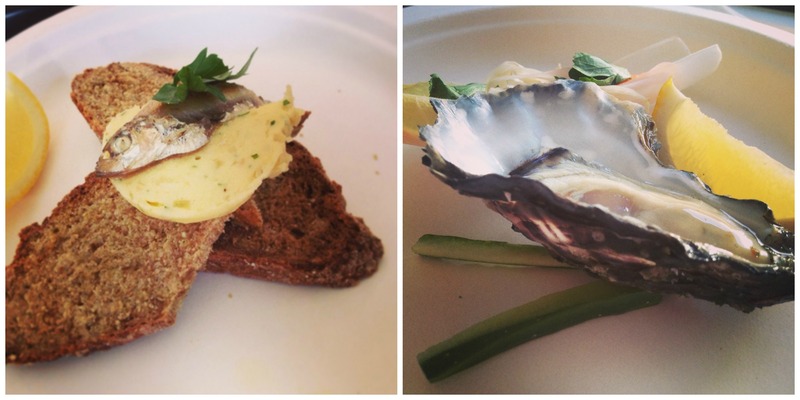 The first course consisted of two starters: soda bread, clam butter, sprats & lemon, followed by pickled oyster & parsley salad. The oyster was delicious (although a bit scary for some oyster virgins round the table) and the freshly baked soda bread fantastic. Next up, the main course. 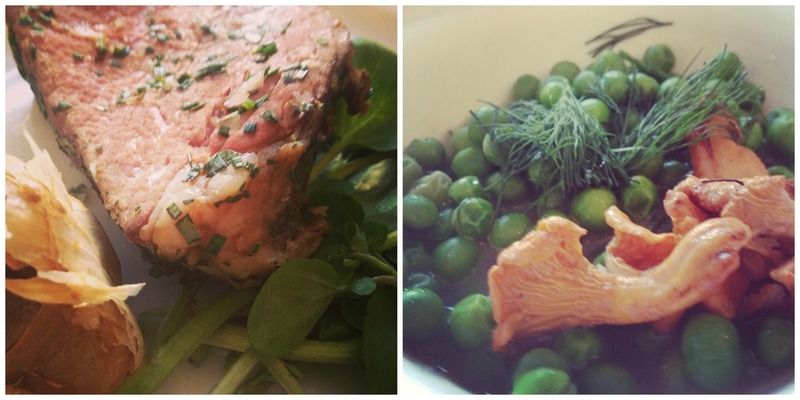 Flank of beef, tarragon, marrow & watercress alongside wild Girolles (fancy mushrooms, freshly foraged), peas & dill. This technically counted as 2 courses, but it really amounted to 1 (in my humble opinion). Either way, the peas were more delicious than I would ever expect peas to be (seriously, we spent quite a lot of time discussing this). The flank of beef was so unbelievably tender. The whole thing went down a treat. Speaking of treats, next up was dessert. In keeping with the ‘Victorian London’ theme, it was Victoria Sponge (deconstructed, obviously, because we’re in Shoreditch). 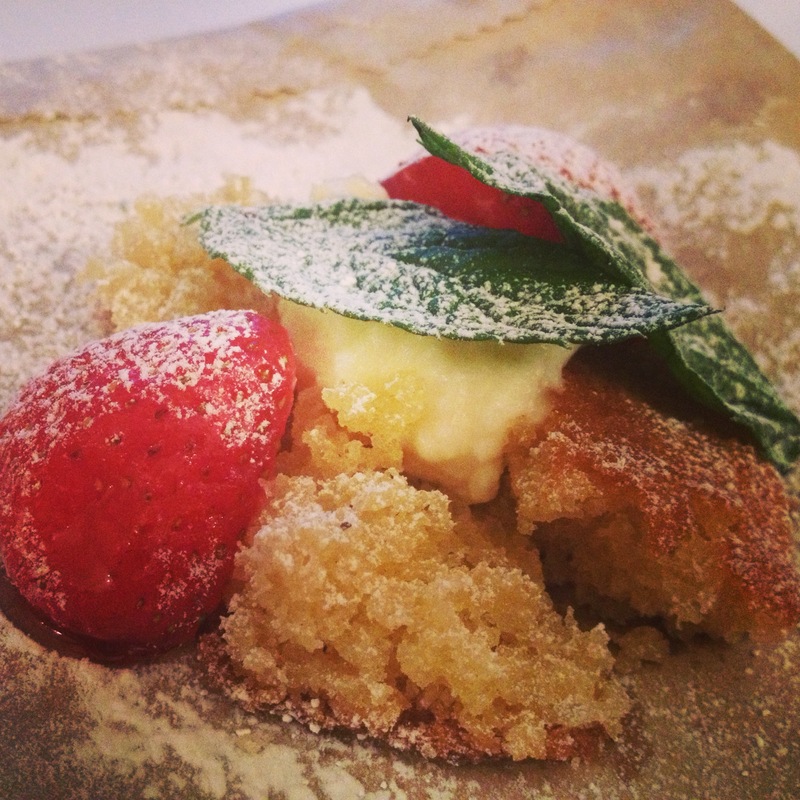 The perfect way to finish off a delicious, and unbelievably good value, meal. The whole thing was really fun and incredibly sociable – the trestle tables make it perfect to strike up conversation with those around you. If you’re keen, they’re holding another one next Saturday night in the same place. This time the theme is ‘French Revolution’, which sounds particularly intriguing. You can book a place here.